Today was full of good news for people interested in carrying pads in the palm of their hand. 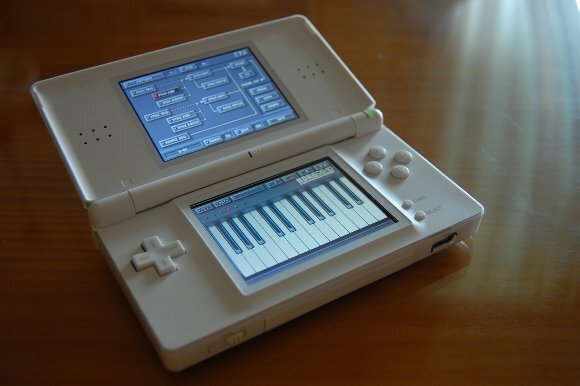 Fans of the Nintendo DS in North America, the Korg DS-10 Plus synthesizer for Big N’s game system is now coming to your side of the Pacific Ocean. (That also bodes well, I think, for other parts of the world.) The DS-10 I think really deserves some credit for making a straight-up music title a hit on gaming platforms, and its success certainly surpassed my own expectations. It’s not a game, it’s not an interactive experience, it’s not a music game – it’s actually a synth and music workstation that happens to run on a game platform. The DS-10 Plus beefs up the original’s features, though it now has a commercially-available rival in the form of Rockstar’s Beaterator for PSP. I’m also pleased that, if the Joystiq story confirming North American distribution is correct, only the extra effects layers require the newer-model Nintendo DSi. It sounds as though the rest of this functionality works just fine on other DS models. Correction: As Liam notes in comments, and as I’ve clarified above, many of the new features are indeed DSi-exclusive. That means this is probably worth upgrading if you have a DSi, and a reasonable purchase if you don’t already have DS-10, but something you’ll ignore if you have a pre-DSi system and the earlier DS-10 title. Joystiq apparently mis-interpreted the press release, which is easy enough to do; it’s confusingly written.